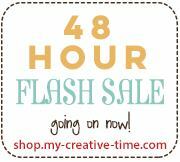 Liz's Paper Loft: MCT 48 Hour Flash Sale!!! Pretty card! I like the spinning world!